I also know this verse to be true, but again, my heart is often heavy and I long for peace. Peace for myself and for others. I Know this verse to be true but I am hard on myself. I often feel that I have failed. I struggle to accept mercy. “Hear me as I pray, O Lord. I cry. I know that no matter what is going in in my life, I am where God wants me to be. Yet I still cry out for HIM to change things even though I know HE already has my life planned. How do I find peace, strength and courage ? God knows that I am HIS anxious child, HE knows I am not perfect, HE knows I cry…HE has every little hair on my head ( even the grey ones) accounted for! HE always answers my prayer when I pray… ” Lord, place me where you want me to be today”… Now I need to trust HIM when I land in that “place”. I know constant prayer is the antidote to anxiety, fear, heartache and weakness. 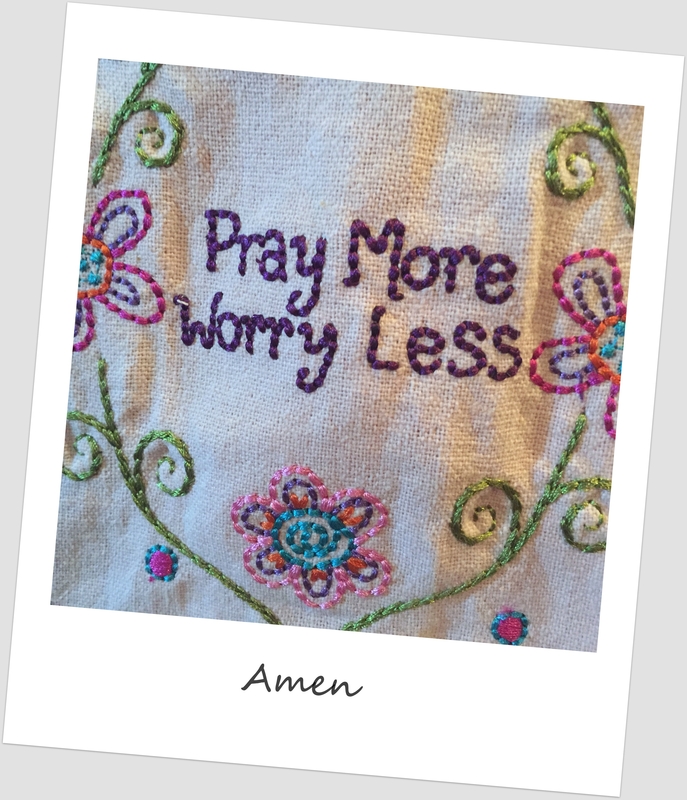 Praying lets God speak to my heart… I am trying to ” worry less and pray more”. I want to give it all to HIM and not take it back…. Who’s in?